The forecast track of TS Isaac has many folks thinking about another hurricane, not so long ago … Katrina came onshore near Pass Christian, MS, and wreaked HAVOC on that region of the Gulf Coast. In the aftermath, Ebenezer (along with many others) sent multiple teams down to do whatever we could to help. We still remember a little storm called Hugo and all of the help we received! In fact, Marty Coates organized a team that went in only a couple of days after. We saw firsthand the destruction. Not too many years before, I had served on a Hugo cleanup team. I saw what a powerful hurricane can do, and what Andrew had already done to Homestead, FL. So I packed up my Bronco II and my family, and we headed east. NEVER FOUND A VACANCY IN A HOTEL. And by the time we got to Atlanta, we were only 2 hours from home!! So we drove on into Easley and had an unplanned trip home for a few days. Andrew jogged west before he came on shore and did very little damage. And all was well! Isaac is on a very similar path to Andrew. And as I sit here, 600 miles away from a city I called home and left a little of my heart in when we left in ’95, I pray for my brothers, sisters, and my seminary. I pray that Isaac will have even less of a bite than Andrew. I pray that this city, that has had so much disaster in the last decade, will be safe. Just like 20 years ago. Ok, THERE is the answer: Because God noticed their wickedness. But, don’t you think there were THOUSANDS of other cities that were wicked in that day?? So WHY did God send Jonah to Nineveh?? Have you figured out the answers yet?? God called Jonah to Nineveh BECAUSE HE DID. We have NO IDEA why God chose Nineveh for Jonah to visit … We do know that in the end, because Jonah finally obeyed, Nineveh was SAVED!! They turned to God!! Why this orphanage in Limon, Honduras?? I DON’T KNOW. I DON’T KNOW WHY GOD PUT IT IN OUR LAPS THE WAY HE DID. But He is DEFINITELY at work in this. And that excites ME!! All I want to do is JOIN HIM and SEE WHAT HE DOES!!! AND HOPE TO BE A PART OF IT!! WHY HONDURAS? BECAUSE GOD CHOSE THIS ONE FOR US. And if He hasn’t chosen this one for you, that’s okay … But you need to get busy asking Him which one He choses for YOU!! 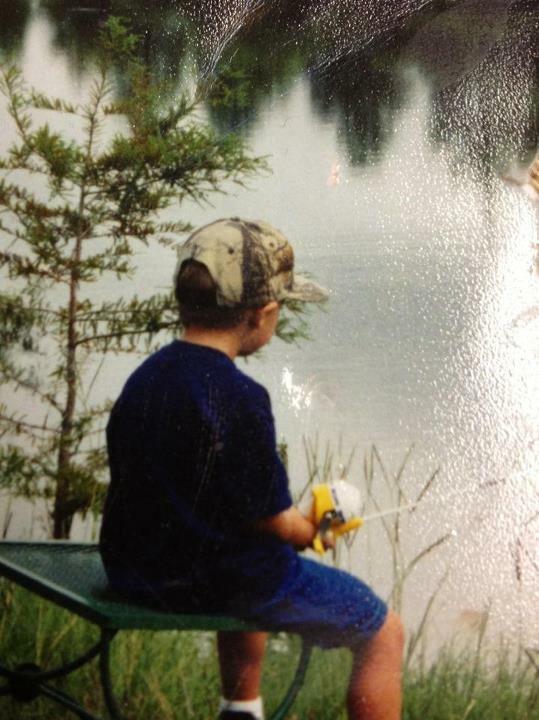 Seems like only yesterday when he went on his first fishing trip. It was at the pond at Buddy Rainwater’s house. He caught a brim!! Not long after that, he started 5K. Seems like only yesterday. Today, he starts the first day of his senior year in high school. His big sister is already a second-semester senior at Clemson, due to her hard work during the summers. She starts Wednesday. And I find myself wondering where all the time has gone!! Here’s wishing all of our kids a great year at school, and hoping all parents will realize their kids grow up at the speed of light. Make the most of every moment!!! But, getting on to the real reason for this blog … This mentality creeps into every aspect of life. Even into our faithfulness to God. We will be faithful, we will follow Him, we will allow Him to call all of the shots … unless something better comes along. As long as it’s convenient and doesn’t have what we see as a negative impact on our lives, we will let Hm be God. But if things start getting uncomfortable or start heading into a direction with which we don’t agree or like, we have this tendency to take control. Imagine where the Children of Israel would’ve been had they applied this way of life to their trek out of Egypt. They would still be out there wandering!! My prayer for Ebenezer today is that we will recognize God for Who He is and give Him the rightful place in our lives!! HE ALONE IS WORTHY! !